COLUMBUS, OH – (April 1, 2019) – Intellinetics, Inc. (OTCQB: INLX) a cloud-based document solutions services provider, announced financial results for the twelve months ended December 31, 2018. Total Revenue increased 26% from Q4 2017. Software as a Service Revenue increased 33% from Q4 2017. Net Loss increase of 74% from Q4 2017. 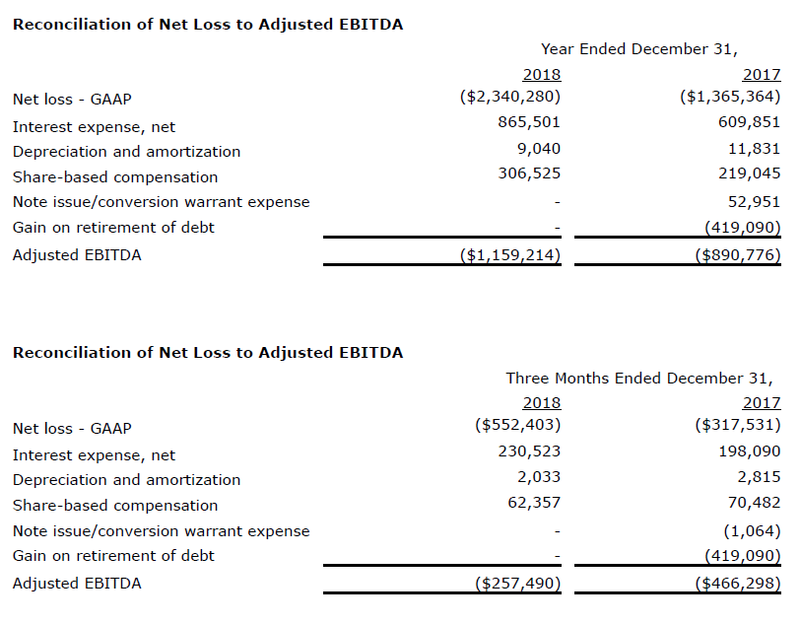 Adjusted EBITDA Loss of $257,490, a decrease of 45% from 2017. Total Revenue decreased 9% from 2017. Software as a Service Revenue increased 20% from 2017. Net Loss increase of 71% from 2017. 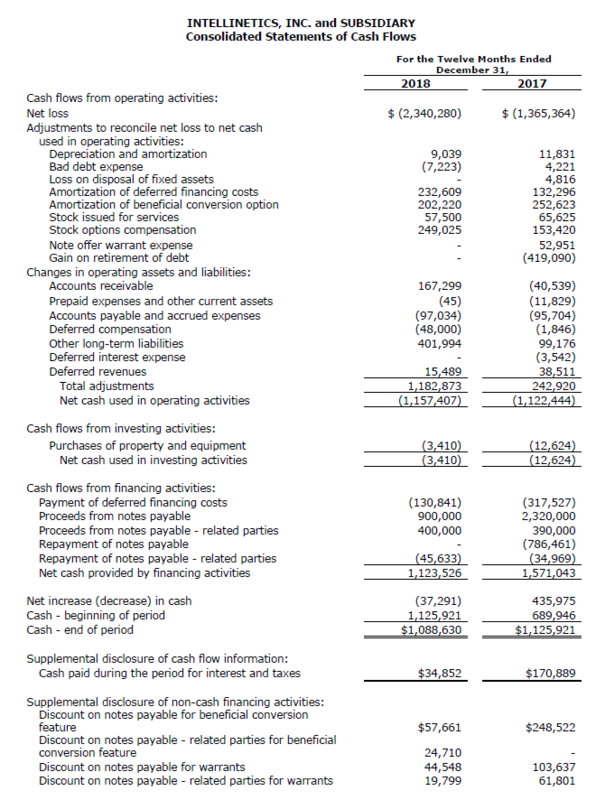 Adjusted EBITDA Loss of $1,159,214, an increase of 30% from 2017. Revenues for the three months ended December 31, 2018 were $633,266 as compared with $503,770 for the same period in 2017. Intellinetics reported a net loss of $552,403 and $317,531 for the three months ended December 31, 2018 and 2017, respectively, representing an increase in net loss of $234,872. Net Loss in 2017 included a $419,090 one-time gain on retirement of debt. Net loss per share for the three months ended December 31, 2018 and 2017 was ($0.03) and ($0.02), respectively. Revenues for the twelve months ended December 31, 2018 were $2,381,427 as compared with $2,620,108 for the same period in 2017. Intellinetics reported a net loss of $2,340,280 and $1,365,364 for the twelve months ended December 31, 2018 and 2017, respectively, representing an increase of $974,916. Net Loss in 2017 included a $419,090 one-time gain on retirement of debt. Net loss per share for the twelve months ended December 31, 2018 and 2017 was ($0.13) and ($0.08), respectively. Our commitment to the Human Services Provider market included launching our Provider Portal in 2018, which provides a cost-effective solution that allows Independent Providers to get up and running within 24 hours. An Independent Provider is a self-employed person who provides services to people with developmental disabilities and who must provide and fund their own technology solutions. We launched our partnership with K-12 education partner Software Unlimited Inc. in 2018, which included completing fully integrated document management capabilities within their School Accounting System for K-12 school districts, as well as successfully implementing 11 pre-launch beta customers in December, 2018. “The improved results in the fourth quarter is a good indicator that our strategy to focus in key markets such as K-12 and align ourselves with strategic solution partners is the right path. At the same time, our clients’ adoption of hosted solutions has accelerated, which impacts our total revenue with lower one-time software sales, but is exactly the conversion that needs to happen to build our recurring revenue base to give us more predictability and reliability in the future. In increasing our SaaS-based revenues we recognize that short-term revenue recognition on subscription services is generally lower than upfront premise license sales and that the new programs will take some months to bear fruit in our top line and this is exactly the track we need to be on to change and enable a breakthrough to the next level. We expect our results to be reflected in improved sales revenue overall, and growing recurring SaaS in particular, in 2019,” DeSocio concluded. 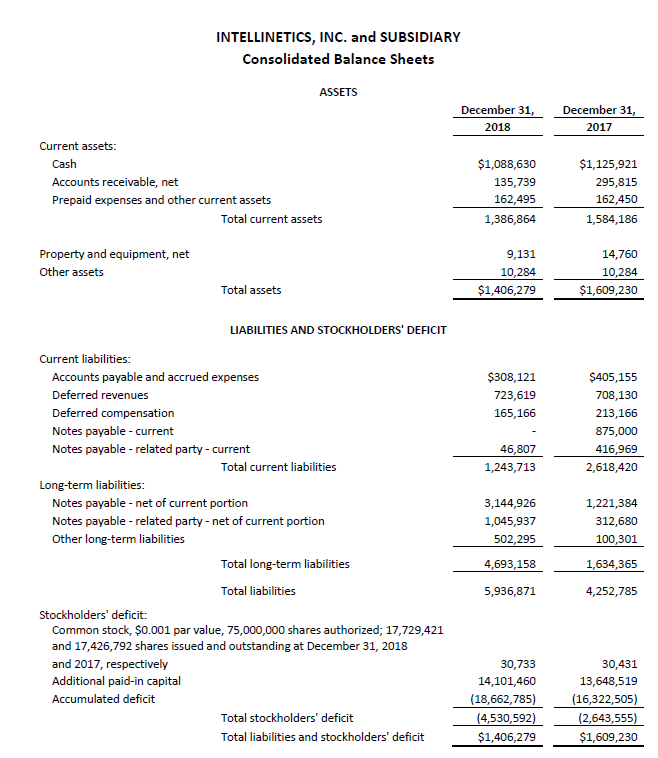 Statements in this press release which are not purely historical, including statements regarding future business and new revenues associated with any industry, channel partner, service, or business relationship; Intellinetics’ future revenues, revenue consistency, growth and long-term value, including in 2019; growth of software as a service revenue; market penetration; execution of Intellinetics’ business plan, strategy, and focus; and other intentions, beliefs, expectations, representations, projections, plans or strategies regarding future growth, financial results, and other future events are forward-looking statements. The forward-looking statements involve risks and uncertainties including, but not limited to, the risks associated with the effect of changing economic conditions, trends in the products markets, variations in Intellinetics’ cash flow or adequacy of capital resources, market acceptance risks, the success of Intellinetics’ channel partners and distribution partners, technical development risks, and other risks and uncertainties discussed in Intellinetics’ most recent annual report on Form 10-K. Intellinetics cautions investors not to place undue reliance on the forward-looking statements contained in this press release. Intellinetics disclaims any obligation and does not undertake to update or revise any forward-looking statements in this press release. Expanded and historical information is made available to the public by Intellinetics on its website at www.intellinetics.com or at www.sec.gov.